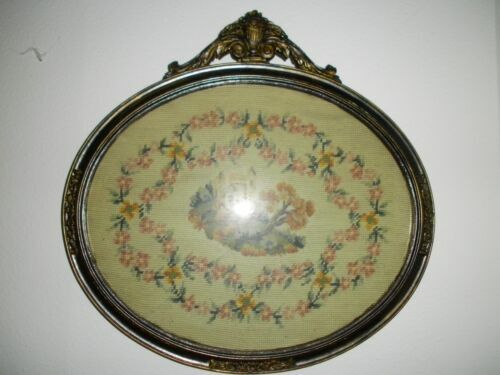 $78.77 (2 bids) Antq Perforated Punch Paper Motto “The Lord Provides” - Fruit Bowl - 22.5” X 10"
$10.0 Unusual Red/White Sampler - Missing the letter "J"
$104.08 Antique Sampler Dated 1773 - 246 Years Old! 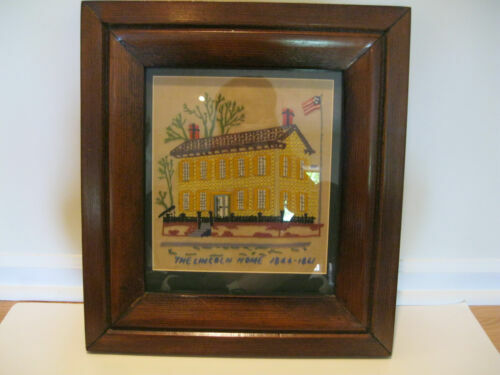 $225.0 ANTIQUE cira 1800s SAMPLER HARDING FAMILY ? 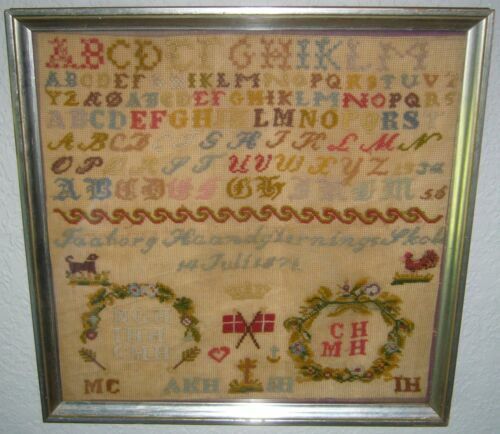 $75.0 Antique 1887 Alphabet Sampler Missing Letter "J"
$185.0 Victorian Walnut Framed Needlepoint Punch Paper Sampler " HOME SWEET HOME"
Buy: $160.0 Antique Vintage 1890's Victorian Remembrance Punch Paper Sampler "Remember Me"
$115.0 Antique Sampler Jane Bell Aged 10 May 14,1823 Framed 13 1/2" x 10 1/2"
Buy: $185.0 Antique 19th Century Castle in Needlepoint & Petite Point Oval - 18" x 18"
$74.99 Antique 1800's Victorian Punch Paper Motto Sampler Framed "The Old Oaken Bucket"
$229.99 Antique Framed Embroidery Titled "The Lincoln Home 1844-1861"
Buy: $300.0 Antique late 1800's Stitchery Sampler with 1920's frame, all original.